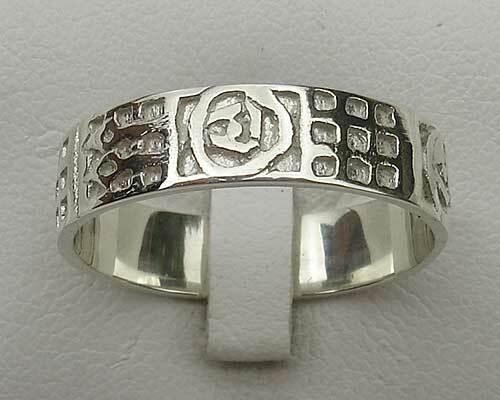 Men's Silver Scottish Celtic Wedding Ring : LOVE2HAVE in the UK! 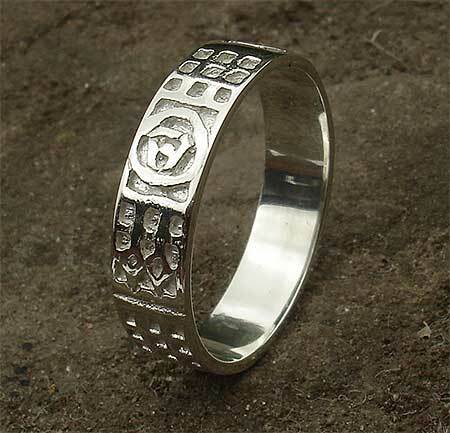 A Scottish Celtic wedding ring for men handmade from sterling silver and measuring 6mm in width. The outer engraving is an Art Deco pattern that is worked all the way around the exterior. Made in Scotland, its styling is inspired by the rose design by Charles Rennie Mackintosh, the famous Glaswegian designer.